Although small TVs might not have all the latest bells and whistles, you can still find a great TV in this size. If you’re looking for a small TV, you are certainly in the right place. We’ve put together reviews of the different TVs available today, along with an overview of the different features and options. Below our reviews, you will find our recommendations for the best 32 inch TVs and why we think they are the best you can buy. With our detailed reviews, you will get a jump start on your search to make the buying process as easy as possible. The Samsung UN32J6300 is the smaller of the J6300 series, which is one of the new models for 2015. This is one of the higher end Samsung models, just below the 4K. Here Samsung offers the new 32 inch 1080p display, which delivers just what is expected. As with most new TVs you may have to do some initial tweaking to get the picture to be just what you want. But overall this offers some amazing picture quality that may just need some slight adjusting. What About The Smart TV Features? The app selection this year is a little light but that is to be expected, seeing as how Samsung has adopted the new Tizen, a customized system for its Smart features. 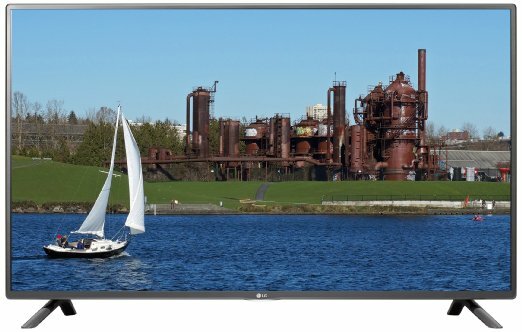 This great 32″ TV like other J6300s adjusts automatically to the ambient light in a room. This occurs through the Eco-sensor, which helps the TV color display look good in all lighting conditions. Samsung is known for its good looks and stylish modern good looks, and this model is no exception. The set is thin with an attractive, but scratch resistant frame that surrounds the TV. I do think the stand could be a bit sturdier, but overall, I’d say the looks are pretty cool. The incredible sound is a nice surprise seeing as how the unit is smaller. But it’s very crisp and clear, almost as if it were surround sound. Getting the best budget small screen TV has become easier with innovations from the top selling UHD TV maker, Vizio. Who would have thought it is possible to get this kind of TV for such a low budget. Decades ago, this would have been a dream but it is no more so in this era of competition among TV designs in the market. Vizio is one of the leading producers of UHD Smart TVs with superior picture quality and excellent value. 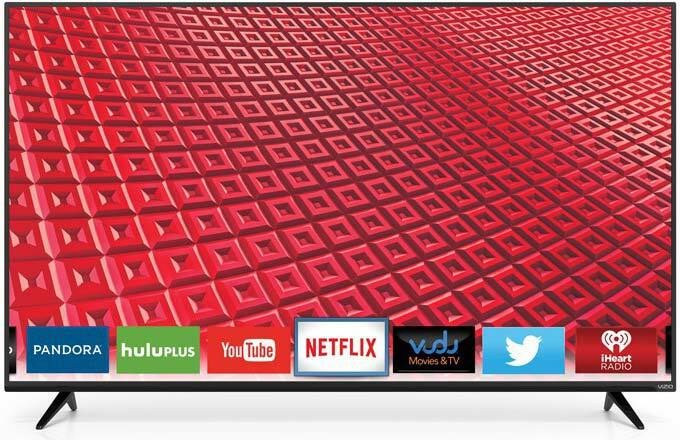 If you are looking for a Vizio smart TV that will fit adequately into your budget, All-Vizio E-Series may be the right solution for you. With the E-Series 32″ TV , you can experience a simplified and intuitive Smart TV with enhanced performance and quality picture. This is possible with the presence of a faster processor. You would definitely experience truly epic entertainment at an almost unbelievable value. Despite getting the TV model at an incredible low value, you would enjoy a stunning picture quality and clarity that would beat your imagination. This great TV comes with 1080p full HD resolution, which gives rise to an incredible level of radiance and crystal clear detail. With E-Series, you can enjoy your favorite content with a Smart TV that as a wide variety of popular apps that makes streaming simplified and easier than ever. The presence of an App launcher makes it easier for you to locate your favorite entertainment. 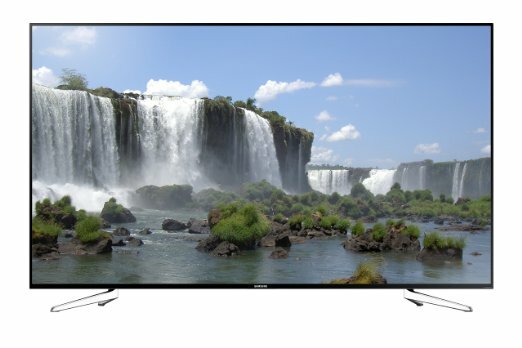 This 32″ LED TV has distinct design that makes it stand out among other similar models. Another classic feature is the ability to mount on the wall and it can easily blend with any room. Thinking of a better sound with smarter choice? E-Series meets all the standards perfectly. With a wide range of options to choose from, the difference is clear. Vizio has proved once again that you don’t necessarily need to spend thousands of dollars before you can have the best picture quality. With this Vizio E-Series TV, your needs can be adequately met when it comes to having the best smart TV experience. If you are running on a very tight budget, this 32 inch flat screen TV may be the right choice for you, without sacrificing your desire for the best picture quality. LG 32LF5600 is worth buying because of its pixel retaining technology which offers a native and regular resolution. To make it possible for a user to watch the fast moving scenes without any sort of distortion, it has been incorporated with 60 Hz as its refresh rate. It has an excellent video processing unit to provide high definition view of all the pictures displayed on it either through HDMI ports or directly from dish. The video processing unit is enabled to convert the low resolution picture into highly defined and high resolution picture so as to have a standard view of all the shows. With a combined audio power equivalent to 20 watts, its two inbuilt speakers are enough to convert your little room into a theater. The digital Dolby decoder helps in encryption of all kinds of videos and movies in such a manner which provides a standard composite video interface to the spectators. And to add a silver coating on its features this device has been equipped to save the power as it is qualified to be an energy efficient star rated product by the environmental authorities. Overall it is a good TV to fit into your budget. Its good color accuracy shall certainly surpass your expectations and prove to be a real value for your money.